Remember when the T-800 Terminator glared down at the distracted desk cop and uttered the soon-to-be iconic line, “I’ll be back”? In that movie, he kept his word, and wreaked havoc. In real life, after attaining international box office star status, Arnold Schwarzenegger said the same thing. He decided to get out of acting and get into politics. But he made it clear that he would be back. 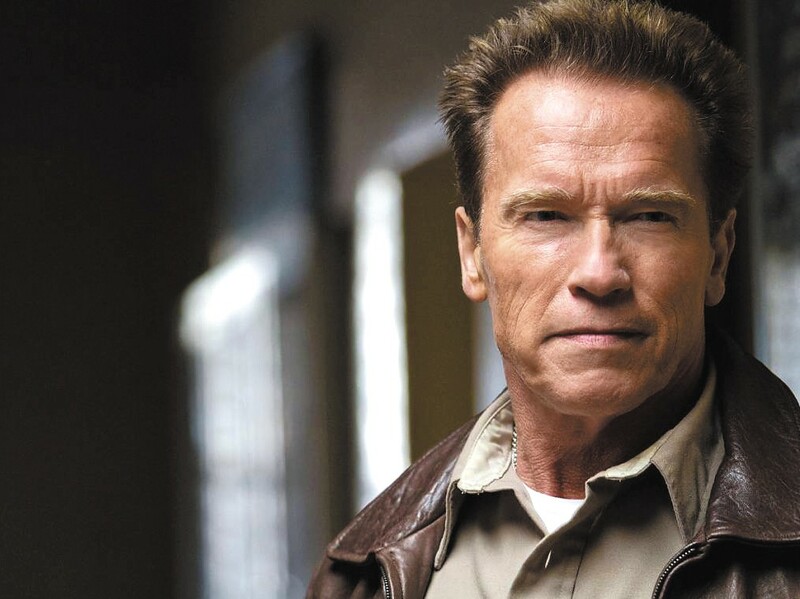 In The Last Stand, Schwarzenegger plays his first lead role since 2003’s Terminator 3: Rise of the Machines, as a small-town sheriff trying to hold off a small army of bad guys. He spoke last week in Los Angeles about acting, politics and what kind of shape he’s in. Inlander: Why did you leave acting, and why did you return to it? Schwarzenegger: When I got into the governorship in 2003 I said I would only run the state for seven years, and then I would be back in the movie business. The only thing is that when you’ve left the movie business for seven years, it’s kind of scary to come back because you don’t know if you’ll be accepted. So I was very pleasantly surprised, when I did the cameo in The Expendables, that there was such a positive reaction to my appearance, and that there was an even bigger reaction when I did the second one. I’m no different than you. We all go through the same traumas. We look in the mirror and see what happened (laughs). But the great thing is that if you work out every day, you stay in shape. This movie required a lot of stunts and action and physical work. The director was a fanatic about seeing as much as possible done by me and the other actors, unless it got really dangerous. We all practiced and rehearsed our stunts, but when you’re 65 it’s different than when you’re 35. You were a bodybuilder, and you’ve always done at least some stunts. Does it hurt to get up in the morning? I feel good right now, but I think that when you lift as many tons of weights as I have, inevitably there’s wear and tear, and you have injuries. When you do stunts you have your share of injuries, and I’ve been stitched up in movies and had broken or dislocated shoulders. I’ve had a lot of surgeries and a lot of things that had to be fixed on my body. But the medical technology has really advanced, and I’m sitting here today and can do everything. What are your plans for future films? I think that every actor looks for challenging roles. I read a lot of scripts, and look at different things. But I have to be realistic. I may see something that I would like to do, but it’s show business. You’ve got to be able to sell it. We have to make sure that people will enjoy it in Germany, in the Middle East, in Australia, in Asia. In the old days, you only thought about America. Today, two-thirds of the money is being made overseas. So we have to pay attention to that. So how do you actually make a choice? A lot of it has to do with timing. I would have chosen to do another Conan first if a script would have been ready. And that will probably be ready later this year. The same thing with Triplets, a sequel to Twins. I’ve been trying to get that made for 10 years. Now the new leadership at Universal sees the value of it, so they’ve hired writers and are going full blast ahead. I would say in general my decisions are based on what movie would be interesting for people to see, what the audience out there wants to see me do.